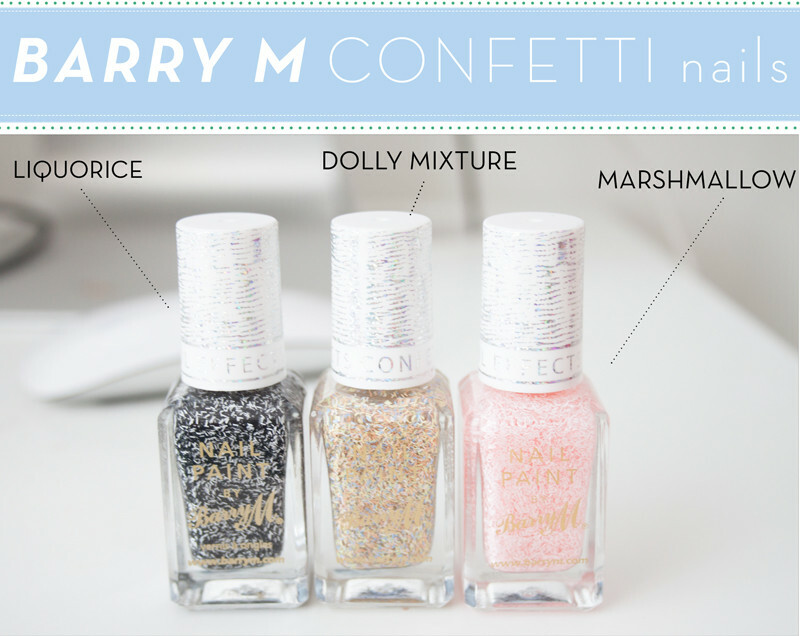 Coming soon to a Barry M counter near you are the new Barry M Confetti Nail Polishes! 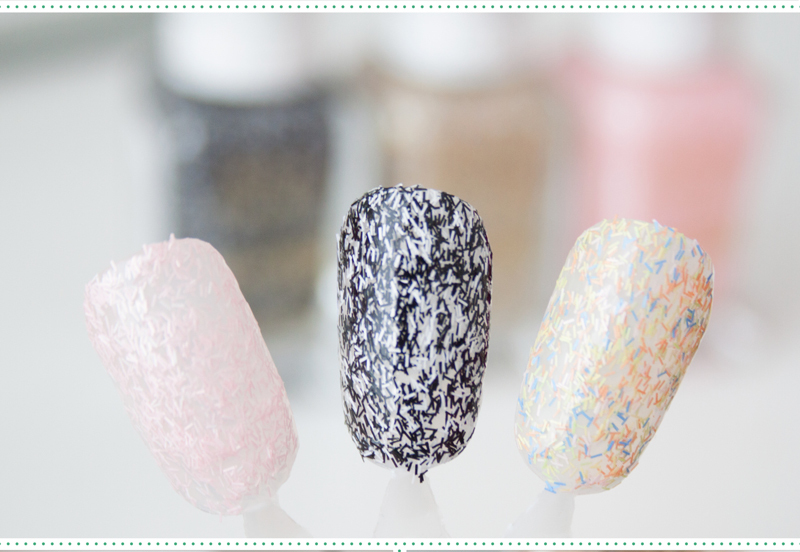 These are very similar to the Nails Inc Feather polishes in which are basically strands suspended in a clear base. All of the colours in this post are three coats without a base. I would recommend using a colour base though! 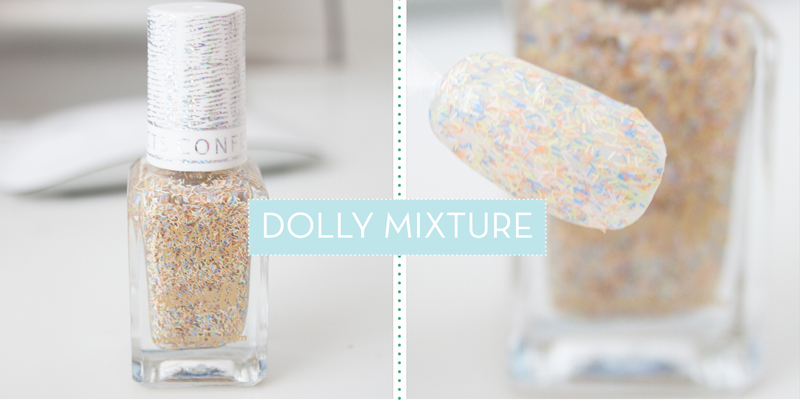 Barry M Confetti Nails in Dolly Mixture is a multicoloured strand polish in yellow, orange, pale blue and white. It looks very much like sweets. 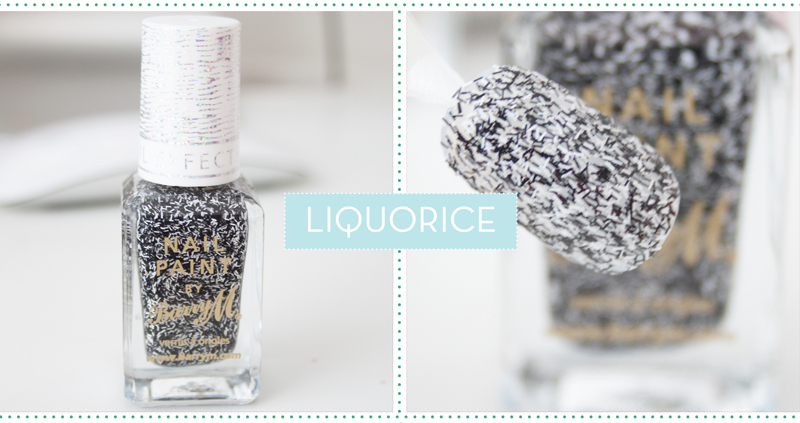 Barry M Confetti Nails in Liquorice is a black and white stranded polish which I personally really like. I think the feather or confetti nails effect works well in monochrome. 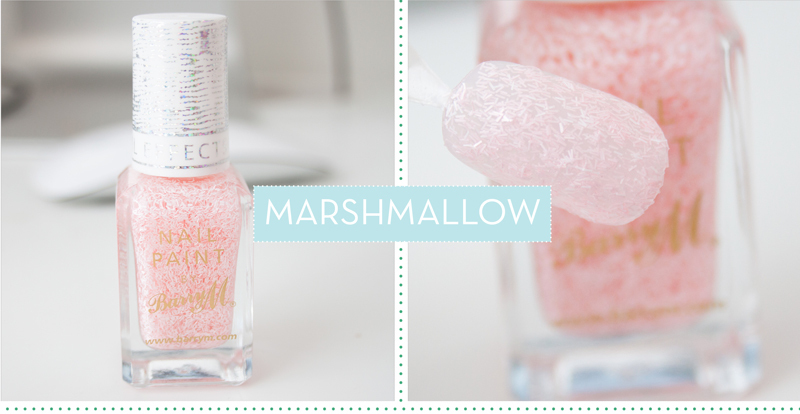 Barry M Confetti Nails in Marshmallow is a soft pink which looks really cute and girly. I have to admit although I like the effect, I think they are so hard to get off it's not even worth it. It would probably be worth applying a peel-able base to the nail like the Essence Peel Of Base or even PVA Glue. It took me a good hour with scrubbing to remove all the polish from the nails when I used the Nails Inc ones so I presume it's similar. The finish is slightly rough so I'd recommend using a topcoat to seal everything in. In all it's a nice high street dupe to the more expensive Nails Inc polishes, but I cant see them catching on unfortunately! At £3.99 a pop they aren't going to break the bank and really do add a unique, funky texture to the nails!